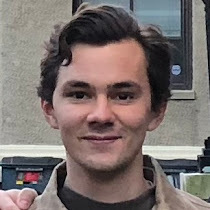 Having recently tried my hand at numerically predicting the notoriously unpredictable March Madness basketball tournament, with moderate success, it was only natural that I would next attempt to predict the outcome of the MLB postseason, with baseball being dearer to my heart and its historical data being so plentiful. In this post I'll describe the groundwork I've done toward this goal so that I'll be ready to generate an optimized bracket when the postseason rolls around. 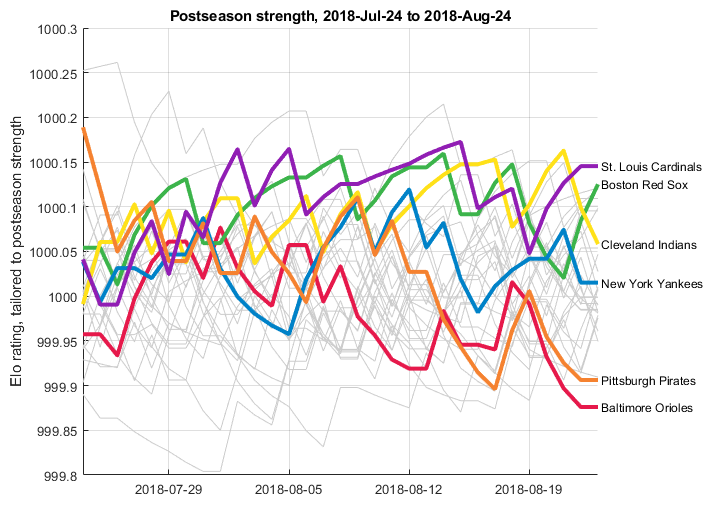 Specifically I'll be focusing on Elo ratings and how I've tailored them on a team-by-team basis from first principles specifically for predicting MLB postseasons. More sophisticated models also take into account weather conditions, individual players (particularly pitchers), and other progressively finer factors. However, for the sake of keeping scope manageable, I'll be looking only at game logs showing the teams, home field, and game score. Everything will be inferred from this basic data. Equally-rated teams should have equal win probabilities, so x_o must be set to 0. Similarly, a team's probability cannot exceed 100%, so L must be set to 1. 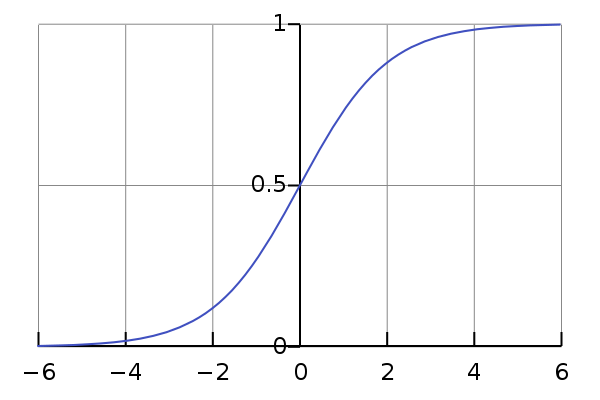 This leaves only a single free parameter, k, which controls the slope of the curve. 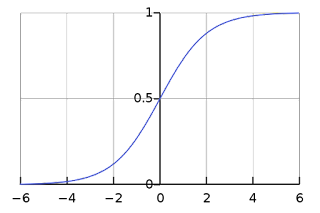 Essentially it represents the slope of the S-curve, or the rate at which prediction confidence changes as the rating gap between the two teams widens. 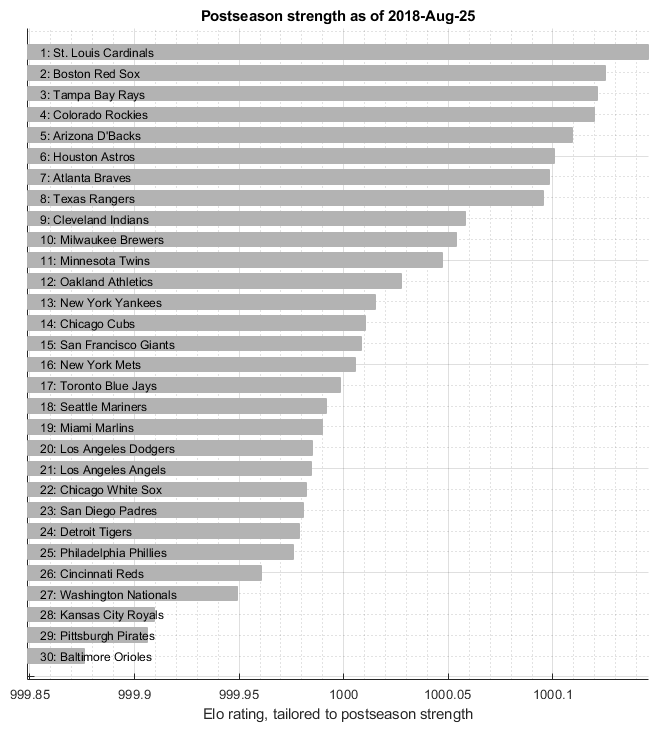 Historically, teams win about 54.1% of their home games, and 45.9% of their away games. 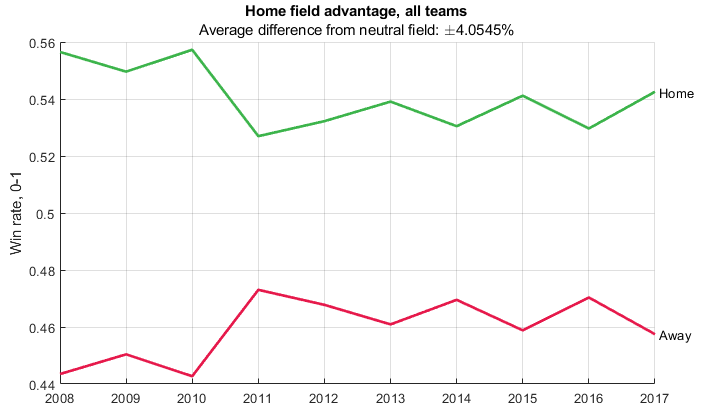 In other words, for evenly-matched teams, being home confers about a 4.1% win probability advantage, and the same amount as a disadvantage to the away team when compared to a theoretical neutral field. 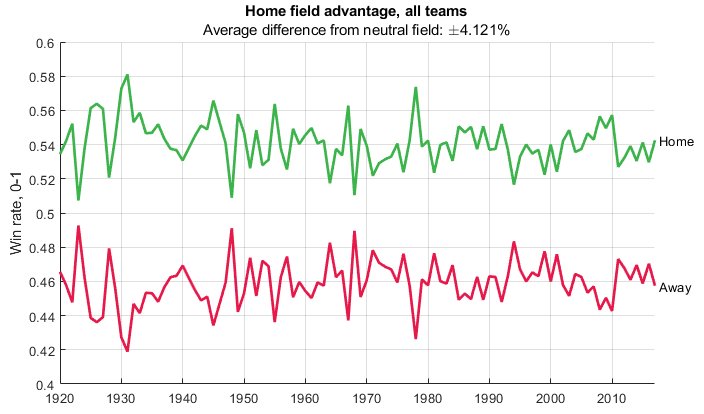 Supposing home field advantage was set at 4.1%, when calculating Elo, I subtract this from the away team's probability of winning, and add it to the home team's win probability. This has the intuitive effect of making away wins slightly more consequential than home wins, and so on with losses. 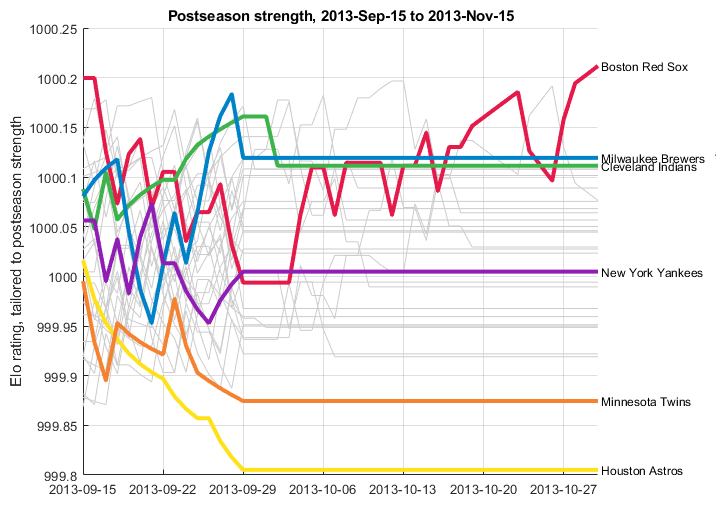 Postseason games count toward Elo ratings, but only in subsequent seasons, i.e. the predictor uses a snapshot of Elo right before the requested postseason to generate predictions, and does not "peek ahead"
Each Elo configuration takes about 1 second to evaluate on my Dell Precision 5520, which is fairly time-expensive. I approached the optimization by first sweeping the three parameters over logarithmically-spaced ranges to get in the right ballpark (pun intended), then sweeping them over linearly-spaced ranges around the best configuration found in the prior step. An interesting trend here is that baseball seems to be becoming progressively less predictable, especially starting in the 1980s. Causes for this would be an interesting topic for research in and of itself. It's worth noting that using the "live ball" configuration in the prior section is very nearly as accurate, and the configuration values are very close. The "modern" configuration correctly predicts 56 of 82 matches, compared to 55 of 82 for the "live ball" configuration. So they're nearly interchangeable. 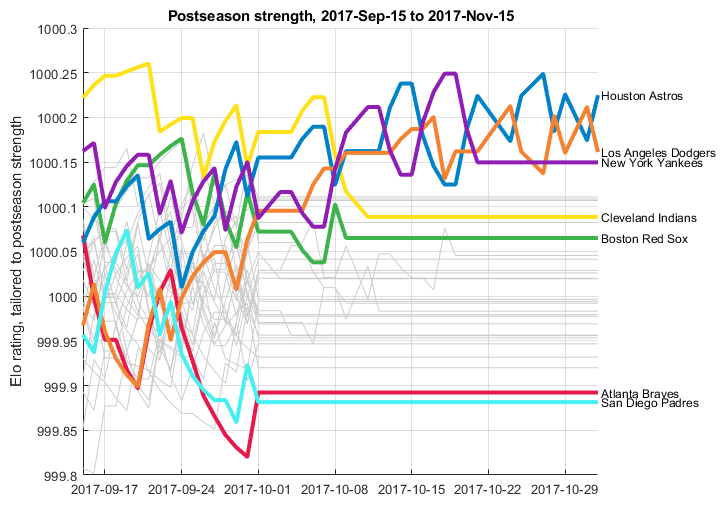 The 2017 postseason was an especially predictable one, in the sense that the teams that finished the regular season on top also generally finished the postseason on top, i.e. there were few upsets. The Red Sox finished the regular season with mediocre strength, but caught fire and upset several teams on their way to win the World Series. Once the 2018 postseason bracket is finalized (including the Wild Card games), I'll generate two bracket predictions: one optimized for points (where the value per correct prediction doubles with each successive round), and another optimized for percentage. For the point-optimized bracket, I'll use Monte Carlo simulations in conjunction with the Elo method developed here to account for the probabilistic difficulty of each team's path to the World Series. Available on my GitHub, minus the scraper.